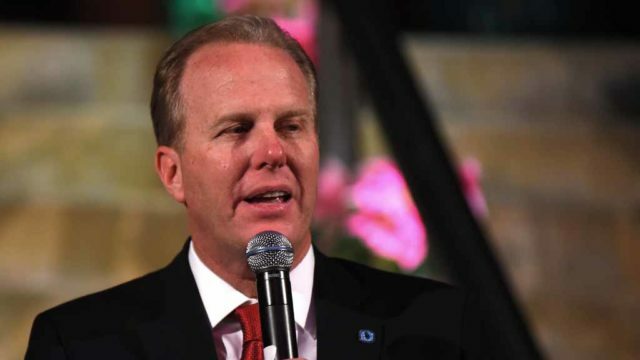 San Diego Mayor Kevin Faulconer joined the mayors of 10 other large cities in California and a bipartisan group of state lawmakers on Wednesday to introduce legislation that would allocate $1.5 billion to help cities address the growing homeless crisis. Assemblymember Phil Ting of San Francisco and Sen. Ricardo Lara of Bell Gardens will champion the effort in their respective houses. California’s homeless population has seen year-to-year increases of 13 percent in 2016 and nearly 14 percent in 2017, according to the U.S. Department of Housing and Urban Development. In response to the surge, cities across the state have utilized their general fund resources and local voter-passed revenue measures to provide housing, shelter, supportive services and outreach to people experiencing homelessness. The new legislation, Assembly bill 3171, calls for one-time funds to be allocated to cities on a matching basis, resulting in more than $3 billion in collective State and local funds to meaningfully address one of the most intractable issues facing cities. The California Big 11 Mayors is a bipartisan group comprised of the most populous cities in the state — Los Angeles, San Diego, San Jose, San Francisco, Fresno, Long Beach, Sacramento, Oakland, Bakersfield, Anaheim and Santa Ana.